Can satire convert viewers into vegetarians? 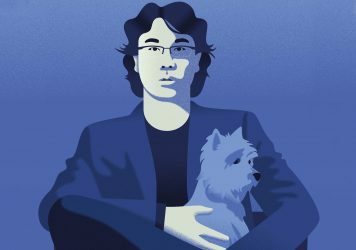 With Okja, screenwriter Jon Ronson and director Bong Joon-ho show the cost of eating animals. 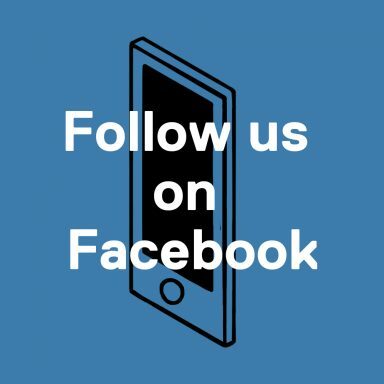 Will it change how you eat? Jon Ronson isn’t interested in your eating habits. As a self-confessed “fish-and-chipocrite” – a fair weather veggie who’s been known to enjoy the occasional fish supper – the author and sometime screenwriter says he’s “never been interested in pushing vegetarianism on anyone.” But as the co-writer of Okja, Ronson hopes that many of us won’t be able to look at a sausage in quite the same way again. A cuddly creature-feature with claws – think E.T. for woke kids – from South Korean director Bong Joon-ho, Okja tells the story of a genetically modified ‘superpig’ and the young girl who goes up against a powerful multinational to save him. But Okja’s satire doesn’t only extend to its virtue-signalling villains. The film also features a band of apologetic animal rights activists, led by Paul Dano, whose high-minded conceit gets some of the biggest laughs in the film. Ronson remembers writing one scene where members of the group enter into a long-winded debate about the ethics of food consumption, only to have Joon-ho distil it to one brilliant line where an anaemic-looking activist refuses to eat a tomato because “all food production is exploitative”. 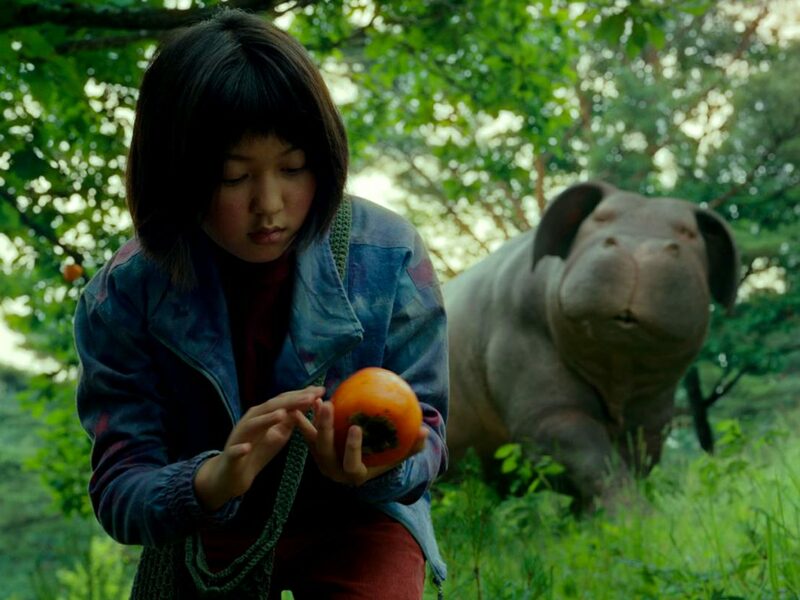 Ironically, Okja’s self-deprecating streak may be one of its biggest strengths as an argument for the merits of meat-avoiding. It’s a trait the film shares with another recent satire, Simon Amstell’s Carnage, a one-off special made for the BBC. Shot in a mockumentary style, Amstell’s film envisions an all-vegan future where people are appalled to learn about their carnivorous ancestors. But, rather than using the premise to wag an accusing finger at meat-eaters, Carnage delivers disarming lines like, “Why do you keep making me ejaculate?”, as delivered by Joanna Lumley playing a talking goat. Nor does Okja shrink from presenting us with some hard truths, albeit in larger-than-life fashion. Ronson stopped eating meat after a trip to an abattoir brought home the brutal realities of industrial farming methods, and he reveals that reading Bong’s first draft of the script produced a similar visceral response. “When I read the scene with the direction, ‘Interior, slaughterhouse, night’, I just couldn’t believe it,” he says. “For me it’s the key scene in the movie. I thought, ‘This is gonna be the kind of scene that people will be talking about for years to come.’ But the initial feedback Bong got from the studios was, ‘Are you gonna take that scene out?’ Then he took it to Netflix and they didn’t have that problem at all.” Delighted, the director invited Ronson to go over the script and pepper it with F-bombs. Will Okja escape his date with the sausage factory? No prizes for guessing the outcome there, but in the end, it’s telling that Mija’s devotion to her friend outweighs the activists’ commitment to the cause – an acknowledgement that, for the vast majority of people, everyday relationships count for more than abstract ideology. It is, perhaps, this understanding that will make viewers stare long and hard at their dinner plates after the credits have rolled. 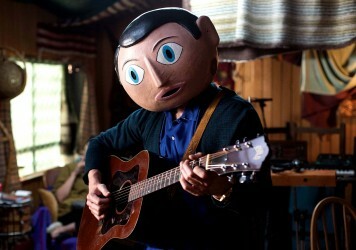 Michael Fassbender stars as the artist formally known as Frank Sidebottom in this spiky music industry satire.